Fast Bikes Ruined By Europe? 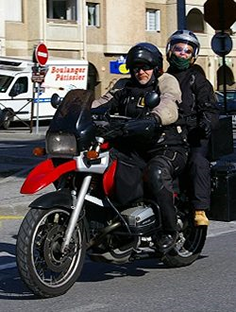 You are here: Home / EU - Regulating Biking / Fast Bikes Ruined By Europe? 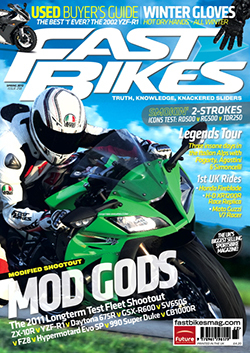 In the Spring 2012 issue of FAST BIKES magazine Deputy Editor Simon Roots wrote a article about the regulation proposal for motorcycles the – Approval and market surveillance of two – or three-wheel vehicles and quadricycles. The article sets out a “lay” explanation of the regulation proposal from, “the proposal’s original intention of a simplification of technical regulations to cut bureaucracy, which has now morphed into a lumbering proposal with committee members appending all sorts of amendments”. Simon comments on mandatory ABS that would see all two-wheelers over 51cc having ABS as standard, making machines tamper-proof to prevent changes to safety or emissions, much like in the 125cc class currently. 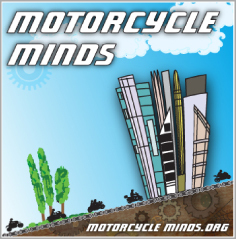 Simon concludes: “Head to righttoride.co.uk or righttoride.eu to understand the issues, then join a campaign group like the BMF or MAG…………….. The most contentious issue, however, is that of the anti-tampering legislation that was in the Commissions original report. They wanted manufacturers to make machines tamper-proof to prevent changes to safety or emissions, much like in the 125cc class currently. But this has been grasped on by the committee and extended to put the onus on the user not to tamper with the powertrain (the proposals could see this go beyond the engine, too). Research has consistently failed to demonstrate strong causal links between speed (and therefore power) and accidents. Human error, and often the human error of car drivers,remains the biggest causal factor in a crash. Indeed, the link between ABS use on bikes and accident rates has yet to be backed up by any meaningful statistics. Passage of the legislation from this point is unclear. Because of the significant amendments to the EU Commission’s report, it has to go back there to get their approval on the changes as well as being discussed by the Council of Ministers, who could repeal some of the amendments. Then it’s due to be voted on in the European Parliament itself. This is currently scheduled to happen on March 14th 2012. Lobbying from national and European-wide groups appears to have done little to water down the proposals, as the loudest noises are coming from the UK – but they’re not being listened to, and the European-wide FEMA has yet to make an impact. While manufacturers aren’t particularly affected, its aftermarket suppliers and riders who face the impact of these proposed changes. Doing nothing will see the proposals adopted. 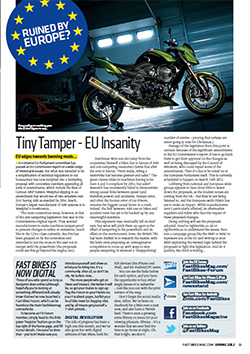 Head to righttoride.co.uk or righttoride.eu to understand the issues, then join a campaign group like the BMF or MAG to represent you at the EU and writing to your MEP explaining the twisted logic behind the proposals to fight this legislation.